A man is caught paying with fake money - gets arrested. A man sells false insurance policies - gets arrested. A man sells phoney investments - gets arrested. A man traffics 'diamonds' made of glass - gets arrested. A man flogs a car that does not work - gets arrested. A silversmith fakes the hallmarks on jewellery - gets arrested. A man sells TV sets that are faulty - gets arrested. A man fakes labels of expensive wines - gets arrested. A man is caught trafficking fake medicines - gets arrested. A man is caught printing fake bank notes - gets arrested. A man insists on changing monopoly money for real money - gets arrested. 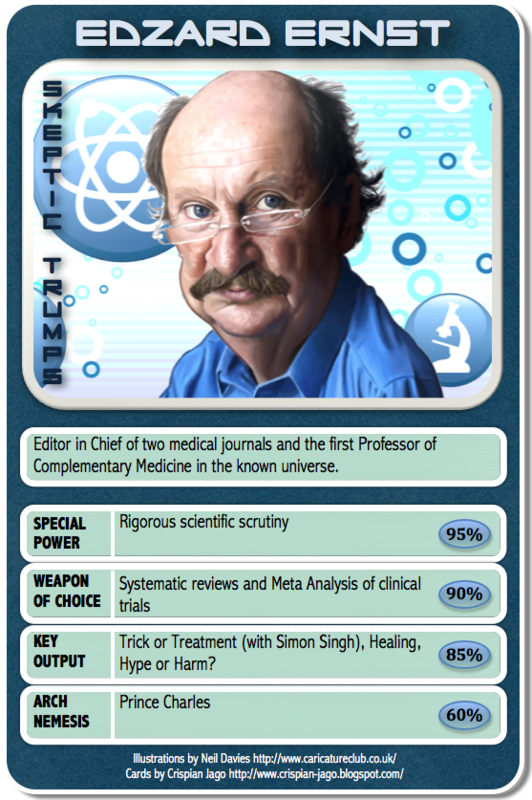 A MAN PRESCRIBES 'MEDICINES' THAT CONTAIN NO ACTIVE INGREDIENTS - HE IS CALLED A HOMEOPATH. A PHARMACY SPECIALISES IN MANUFACTURING SUCH 'MEDICINES' - THEY ARE GIVEN A ROYAL WARRANT.